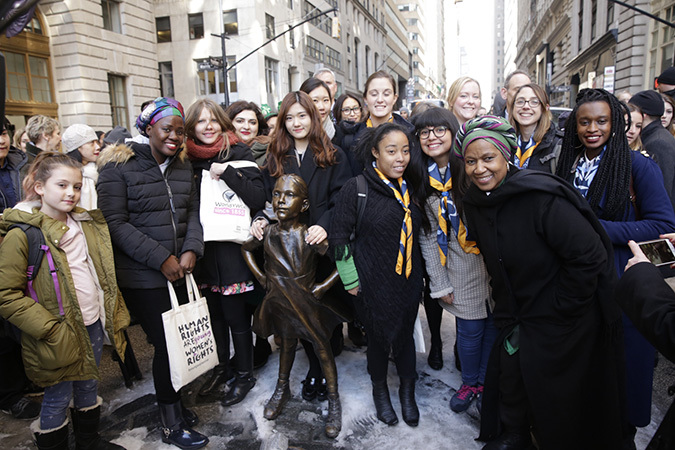 Young women attending the 61st session of the UN Commission on the Status of Women met UN Under-Secretary-General and Executive Director of UN Women, Phumzile Mlambo-Ngcuka at the Fearless Girl statue on Wall Street on 17 March. The statue, placed by Boston-based company State Street Global Advisors on Bowling Green, in the heart of Manhattan’s Financial District ahead of the International Women’s Day to encourage increased representation of women on corporate boards, has gained high visibility as a symbol of strength, rebellion and resilience of women and girls. The visit drew attention to the urgent need to increase women in leadership positions in the private sector, as well as more broadly to create an enabling working environment for women. Currently, only 5 percent of Fortune 500 CEOs are women. Also present at the meeting were youth activists from the Young Women’s Christian Association (YWCA). “I don’t want to have to choose between having a career and having a family,” said Joyce Boram Lee from South Korea. “I want to have the same opportunities as men,” added Heejin Lim. 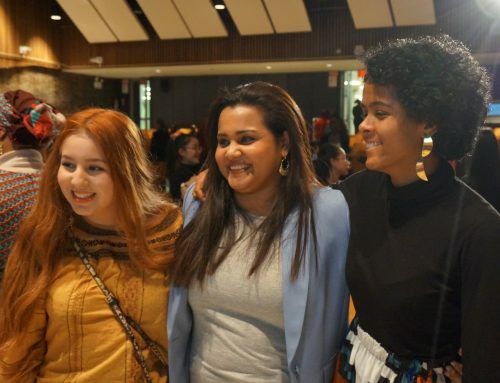 The Commission will develop recommendations on how to create new economic opportunities for women, such as in fast-emerging sectors like technology and the green economy, and on ways to overcome structural barriers that still hinder women’s full participation in the labour market, such as the unpaid care burden that is largely shouldered by women and wage inequality. Key recommendations include flexible work time and paid parental leave arrangements. The “Fearless Girl” statue is the work of the acclaimed American artist Kristen Visbal from Lewes, Delaware, who intended the statue to inspire young women to aspire and to recognize the strength of women in the world of work.